According to the Centers for Disease Control and Prevention, over 13 million American women over the age of 20 are living with diabetes, diagnosed and undiagnosed. [JP1] Despite some risk, women with diabetes can still carry and deliver healthy babies. In fact, women who have their blood sugar under control before and during pregnancy are as likely to have a healthy baby as a woman without diabetes. 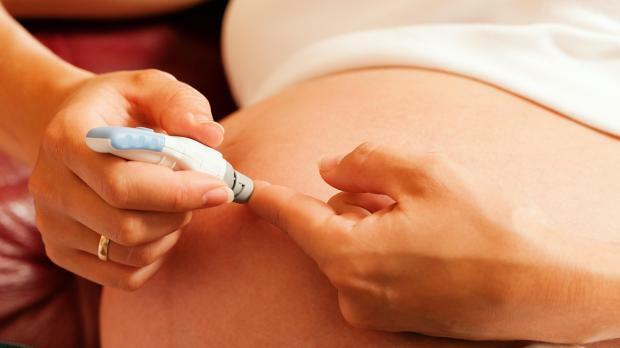 Women with diabetes should strive for specific blood glucose numbers before getting pregnant. The Joslin Diabetes Center recommends a pre-meal blood sugar of 80-110 mg/dl and 100-155 mg/dl one hour after eating. These numbers may vary according to your doctor’s recommendations. Hemoglobin A1c levels should be 7% or closer to 6% without hypoglycemia. Once these numbers are achieved, women should see their gynecologist to review their obstetric history, have an eye exam to rule out any diabetic retinopathy, and have any other screening tests recommended by their doctor. This might include kidney function testing or cardiac evaluations. Once the proper screenings have been completed it should be fine to get pregnant. Every woman sees her doctor more frequently as pregnancy progresses, but having type 1 diabetes means frequent trips to the office. Make sure to keep all appointments. Pregnancy[CA2] can make it challenging to keep sugar under control, as the body’s sensitivity to insulin can change dramatically throughout the term. You may want to see a certified diabetes educator or nutritionist during the pregnancy for additional guidance. If you use an insulin pump, this may be a good time to discuss any changes to your basal rate or bolus dosing plan – luckily there are pumps on the market with touch screen capabilities so making adjustments to your insulin delivery is simple. Remember to check your blood sugar at least six times each day and have your A1c checked every 4-8 weeks. Continue physical activity if you were already active before pregnancy. If you are new to fitness, ask your doctor what he or she recommends. Check your blood sugar before driving and treat highs with a corrective dose of insulin or lows with a snack as needed. Be aware that pregnancy can cause sudden drops in blood sugar that could put you and your baby at risk if you are driving when they occur. As with any pregnancy, eating a healthy diet and weight control are also important. Make sure to eat a variety of lean meats, low fat dairy and plenty of fruits and vegetables. Talk to your dietician if you are having trouble. Pregnancies are times filled with lots of physical and emotional ups and downs. With so much to consider, well-controlled blood sugar levels along with a solid plan and network of supportive healthcare professionals will allow you to relax and focus on preparing for parenthood and the delivery of a healthy baby. [CA2]The one aspect of pregnancy + diabetes that I read about in just about every first-hand account (and one of the biggest challenges) is that insulin sensitivity changes dramatically over the course of the pregnancy. I think it’s important to not completely omit that in a piece on this topic. It could be included here. 13 million women? That’s insane. Is that amount unprecedented or has it always been that many? I’m just wondering if it’s related to the rising obesity levels. In india , we prefer DIPSI guidelines for GDM and cut offs are 120 post meals. In Normal non diabetic pregnancy during first trimester estrogen and progesterone levels rises leading to beta cell proliferation and hence fasting sugar level of drops to below 90 mg/dl , In case of type 1 DM mother we need to give extra insulin to compensate that at the same time preventing hypoglycemic episodes.